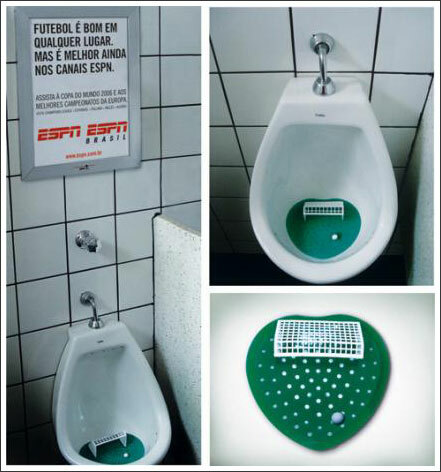 You can’t escape World Cup fever, particularly in São Paulo bars, where this quirky game of urinal soccer comes from. “Soccer is good everywhere, but it is much better on ESPN,” says the headline. It might be less good, for many reasons, in a urinal, but it’s a fun idea. Seen on Ads of the World.